New to the game. But that won't stop her. How does a woman disappear in a town of a thousand people? That's a 28-year-old mystery Isabel Long wants to solve. Isabel has the time to investigate. She just lost her husband and her job as a managing editor of a newspaper. (Yes, it's been a bad year.) And she's got a Watson - her 92-year-old mother who lives with her. As a journalist, Isabel never lost a story she chased. Now, as an amateur P.I., she's not about to lose this case either. It's always a good sign when I finish a book less than 24 hours after starting it! I literally couldn't put this book down (apologies to my family). Everything about this story was unique and refreshing - the writing style, the setting, the storyline and my favourite part ... the characters. 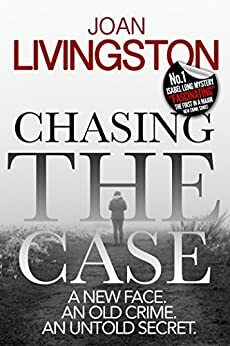 I was in awe of the stereotype-busting silver-haired widow and her 92 year old mother, who were the lead sleuths solving this case. We need more books like this! Which is lucky for me (and you!) because I believe there is a second book coming out soon. 5.0 out of 5 starsTerrific start to a new series! This is a terrific first book in a series. I really warmed to the protagonist, Isabel, who had spent her whole career in the newspaper business. She’s a well-drawn, believable character, the kind you trust to tell a story with authority and knowledge. Throughout Isabel’s long career, she worked in various capacities, including as a reporter for her small town. Though she’s not a native to Conwell, her coverage of local events made her privy to all the goings on, from the mundane to the unfathomable. Now that Isabel finds herself at a stage in her life where she’s recently widowed and suddenly unemployed—thanks to the sale of the newspaper—she moves her mother in with her so they will both have company. Adjusting to not being a vital part of a daily newspaper and not having the companionship of her late husband, Isabel turns her focus to a 28-year-old missing persons case that she had covered as a reporter. Along with her 92-year-old mother—an avid mystery reader—Isabel begins a methodical, under-the-radar investigation into the disappearance of Adela Snow Collins. As she soon learns, it’s hard to keep secrets in a small community, unless it’s to cover up a brutal crime. The author has set up a wonderful premise for a series, creating a cast of quirky characters, including the Old Farts and the proprietor of the Rooster, the only bar in town. I look forward to seeing what Isabel gets up to next! This book is an auspicious start to a promised series all featuring the same detective. The book is set in Western Massachusetts and, after reading it, it seems that I lived there for a chunk of my life. The characters are nicely drawn and developed and the plot is suitably complicated. All in all, this was a fun read! Indeed, Ms. Livingstone has create a cadre of fascinating characters and has set herself up nicely for the future books that I am now eagerly anticipating..
Isabel is a person I actually know in a weird way, so I am a little biased. Joan Livingston's first mystery outing showcases her talent with character-driven novels. If you want to know about real people in the hilltowns of western MA and what it really was like being a reporter before the world got more crazy and high tech, here you go. The mystery isn't a head-scratcher, it just gives the story more juice. Sit back and kick up your heels with this one. 5.0 out of 5 starsA character driven whodunnit. This is going to be one of my favorite series. I like the fact that Isabel is courageous, but not stupidly courageous. She doesn't go snooping around all by herself. Perhaps that is because of the age of the character. It's nice to have a sensible heroine. I read a ton of mysteries on my Kindle, and this is one of the best I have read in the past few years. The characters are very believable and vividly drawn, especially the protagonist Isabel Long. I could really feel her emotions as she adopted her new "PI" persona. The plot had numerous twists and turns, with a satisfying conclusion. I was sorry to see the book come to an end and immediately downloaded the second one in the series (Redneck's Revenge), which was even better, in my opinion Can't wait for #3!